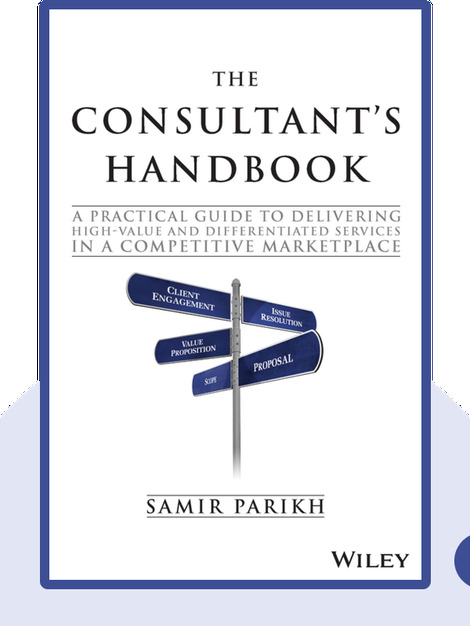 The Consultant’s Handbook (2015) is an indispensable field guide to the world of consultancy. Packed with top tips, illuminating examples and hands-on advice, it’s the perfect explainer for consultants past, present and future, as well as anyone keen to pick up some consultancy tricks to boost their performance in adjacent industries. Samir Parikh is a business consultant, practice manager and consultancy CEO with over 25 years of experience in the industry. He is the founder of the global consultancy firm SP-Consulting, which has completed projects in over 50 countries. 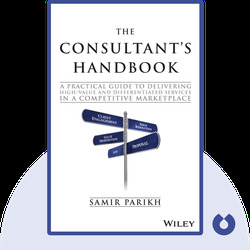 © Samir Parikh: The Consultant’s Handbook copyright 2015, John Wiley & Sons Inc. Used by permission of John Wiley & Sons Inc. and shall not be made available to any unauthorized third parties.